Thanks to a reader for sending this one in! 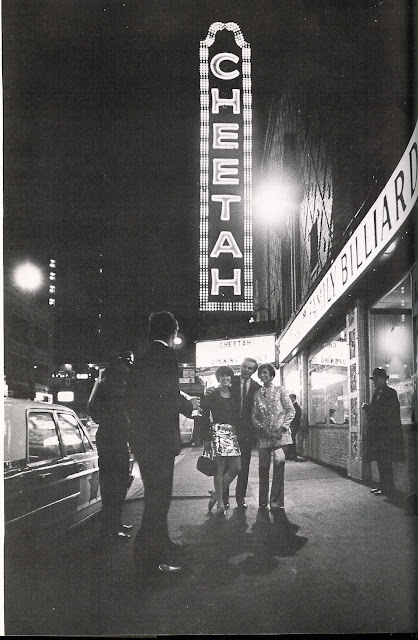 For a brief time in the late sixties, the Aragon Ballroom was transformed into the uber-hip Cheetah Lounge. I was hoping you could give me a bit more information about this photo? I would like to use it in a project I have been working on, and I need to track down the photographer. There are actually two others on your page that would work really well also. Great stuff! Would you please email me any information you may have? Who won't love this picture? This brings a lot of memories. This brings a lot of memories.